Social media is the most powerful platform ever created for networking and making connections, so if you’re not taking advantage of social media as part of your MLM business, you’re missing a tremendous sales and promotion opportunity. Just like in MLM, you start on social media as just one person, and each connection leads to more connections. And just as starting in MLM requires time and diligence, gaining ground in social media requires more than just creating a Facebook account. 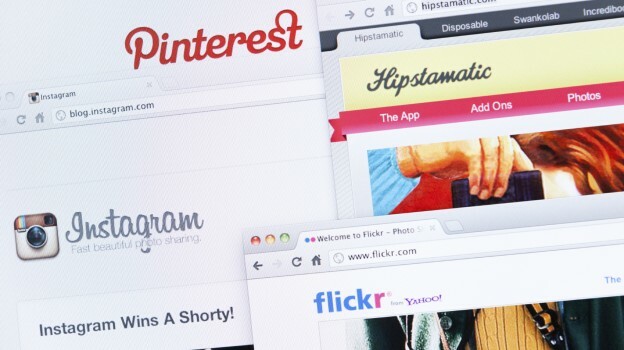 Here are 5 tips for creating a solid foundation to use social media to promote your business. It’s about what you create. Simply advertising your products or writing about yourself won’t work. Content is king, and the more valuable your content, the more connections you’ll make. Creating original content such as how-to posts is great, but if you aren’t a writer, don’t despair. ‘Curating’ content works just as well. Whenever you find valuable content, pass it on. This way, you’ll still become an indispensable resource and grow a dedicated following. If you’re new to social media, pick just one site, Facebook or Twitter, and learn all you can about it. It’s far better to do a great job on one site than a mediocre job on many. Once you’ve mastered your first site, move on to another. Make sure you ‘follow’ (Twitter) and ‘like’ (Facebook) influencers and others who already have a lot of followers. Then spend time reviewing their posts and sharing their content. This is essential for getting followed and liked back and building your network. As you begin posting, make sure you track how each post is received. If a post is successful on Facebook, it will get ‘likes’ and ‘shares.’ On Twitter, it will get ‘retweets’ and ‘mentions.’ See what works and build on this success. Once you’ve established a foundation and understand how connections are made and content is shared, align your social media efforts with your business goals. For example, over a set time period, say, two weeks or a month, how many opportunities are you creating to sign people up or educate them about your brand? Don’t despair if the initial numbers are low. Just as with your MLM business, you need to keep at it and track how the opportunities multiply over time. When it comes to social media, it’s essential to be authentic and transparent. Dishonesty always backfires and can quickly ruin your reputation. Whether it’s sharing personal stories of success and failure or asking someone for help, your connections will respond positively to honesty and openness. Hope you’ve found this helpful! I welcome your comments in the designated area below. You can also reach out to me directly at me@jenniferneeley.com. Jennifer Neeley is Principal of Jennifer Neeley Digital, a global social media management consulting group that combines the best of web strategy, social media, and management consulting. Her group works to make sense out of out how to make the social web work for any organization tactically and strategically. In addition, Jennifer is a highly sought after speaker, educator and board member. Her podcast, The A-List, has 500,000 listeners and counting. Learn more at jenniferneeley.com. ALIGNING WITH UR BUSINESS MAKES IT FASTER, AND CLEAR ALSO. Promoting business on social media websites is the best solution .It becomes easier to get targeted traffic through social website as we can create community related to our business due to which communication becomes easier between customers and brands .Fan page creation is also one of the good solution for getting Likes and their reviews.